View new homes for sale in Homestead Eagle, ID just below. The new Homestead subdivision is where you will find all the comforts of peaceful living combined with the convenience of city life. Homestead provides many community amenities, including a swimming pool, neighborhood park and playground. If you’re looking for a little more adventure, you are just minutes away from the Boise River, Greenbelt and Eagle Island State Park. Learn more about Homestead real estate. Save This Search to receive the newest real estate listings in Homestead before anyone else! 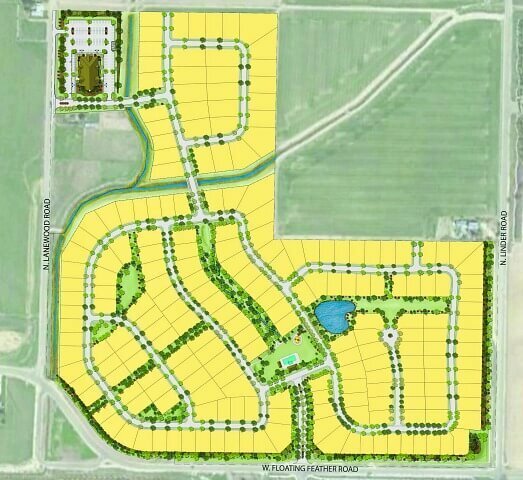 Homesites: Phase 1 (aka Lanewood) consists of 38 building lots on 21.53 acres, ranging in size from 0.16 acres (6,970 Sq. Ft.) up to 0.414 acres (18,034 Sq. Ft.). W Floating Feather Rd and N Lanewood Rd, Eagle, ID 83616. For the latest information about Homestead real estate, or to schedule a tour, contact us online or call (208) 391-4466. < All Eagle Homes for Sale or browse the largest selection of New Eagle Subdivisions and find your perfect New Home in Eagle.